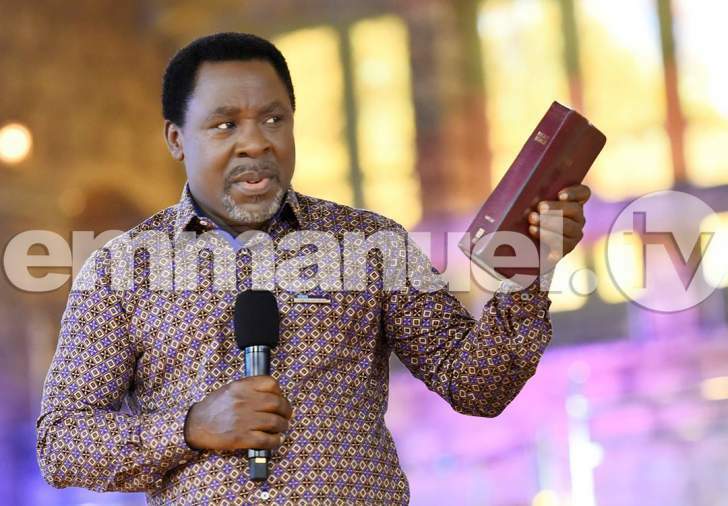 Nigerian Pastor TB Joshua has given a stark rebuke to churchgoers who rely on their "dirty money" to pave way for them to receive God's blessings. In an impassioned sermon, the cleric decried the level of 'pride' shown by church members nowadays. "We are too proud - that is why we believe so much in money,"he told congregants at The Synagogue, Church Of All Nations (SCOAN) on Sunday 6thMay 2018. "'Money answereth everything' - that is the voice of pride,"he continued in the sermon titled 'Read The Bible With Forgiveness' which was subsequently uploaded to Emmanuel TV's official YouTube channel. "When you speak, one can hear the voice of money. When you walk, one can see the traces of money… But money is dirty; the journey of money is too far," he bluntly continued. "Get interested in His plans and work with His projects. Go and work in the church where humility can come,"he candidly counselled, explaining this would afford the opportunity to work freely with people irrespective of their social class. "When I asked her what she was saying in her prayers, she told me, 'Lord, as I clean Your house, clean my life, future, family and children'. Here I am today." The cleric further added that people should stay within their respective churches to render their services, without feeling the need to join a 'megachurch'. "It's not the size of the ministry that determines the strength of the ministry," he explained. "The strength of the ministry is the relationship of the ministry to God; it is not the population or crowd, fame or popularity. You can see just two members in a church that is more connected to God than the biggest church." "When you look at my antecedents, you will see I have more degrees in persecution than praise. I am a professor when it comes to persecution but I am just a first-degree holder in praise… Well, I am not expecting praise because my reward is over there," he concluded.